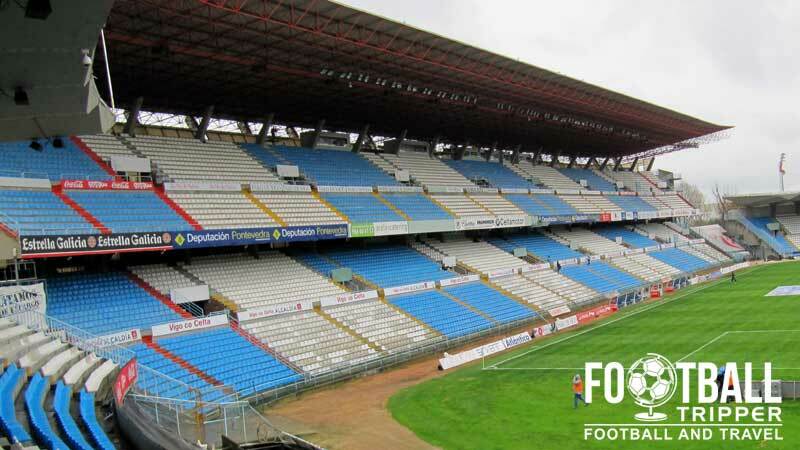 The Estadio Municipal de Balaídos in Galicia, Spain, is the home ground of Celta Vigo, who currently play in La Liga. In 2004, a major renovation led the stadium to comprise of four stands in total, giving the stadium an official capacity of 31,800. 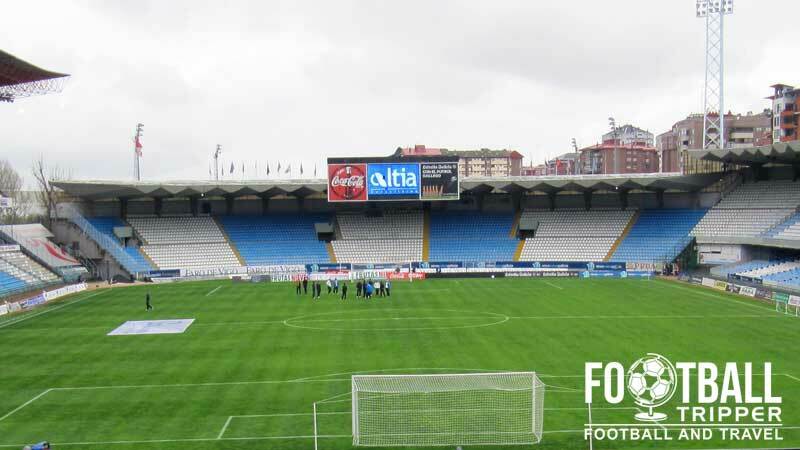 The inaugural match at the Balaídos Municipal Stadium was held between Celta de Vigo (Obviously) and Real Union Irun way back in December 30th 1928. It’s fair to stay that the current version of the stadium holds very little in common with the previous incarnation with the exception that they both host football matches and are home to the same team. As one of the venues chosen for the Spanish World Cup of 1982, Balaidos receive substantial investment with the reconfiguration of the South stand being made a priority which resulted in a fully covered bowl structure capable of holding 40,000 spectators. It was at this stadium that fans from across the world watched eventual winners Italy, qualify from the group with a series of draws against Poland (0-0), Peru (1-1) and Cameroon (1-1). In recent years following the clubs promotion back to La Liga after five years in the wilderness, presidents have made continued calls for the facilities to be updated to match the modern day landscape of football in Europe, but plans have continuously been shelved due to lack of liquidity following the global financial crisis of 2008. Two prominent plans include Santiago Dominguez, the deputy mayor of Vigo proposal to build a “Nuevo Balaídos” for the 2018 World Cup and a privately funded out of town sports arena/shopping complex by Horacio Gomez but neither has come to fruition due to Russia being awarded the 2018 World Cup hosting rights and rejection from local authorities respectively. Balaídos consists of four sections: Tribuna (North), Marcador (East), Rio (South) and Gol end (West). 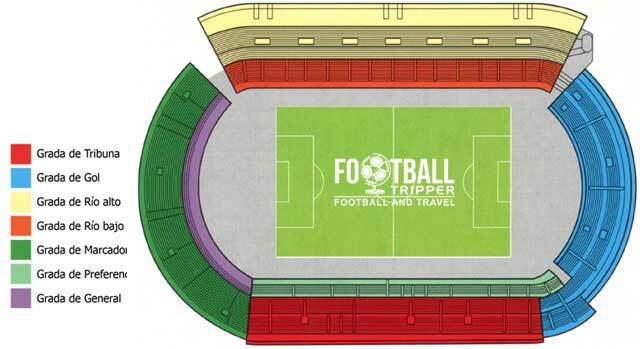 Due to Spanish football not really attracting the same levels of away support as other countries, the visitors are usually contained within one or two small sections of the Preferencia which is shared with home supporters. The map below outlines some of the more popular watering holes in the city with a Balaidos benefiting from a good distribution of pubs en-route: starting with the train station and ending with the stadium itself. Heading North East nearer the train station, coastline and more historic city centre there are also an abundance of options representing the school of Vigo cuisine. Celta Vigo’s official online store lists a single store location on the website at the Balaídos stadium. Matchdays: Open for a few hours before kick-off. The exterior of the “Real Club” Celta store which is nestled beneath the stand. 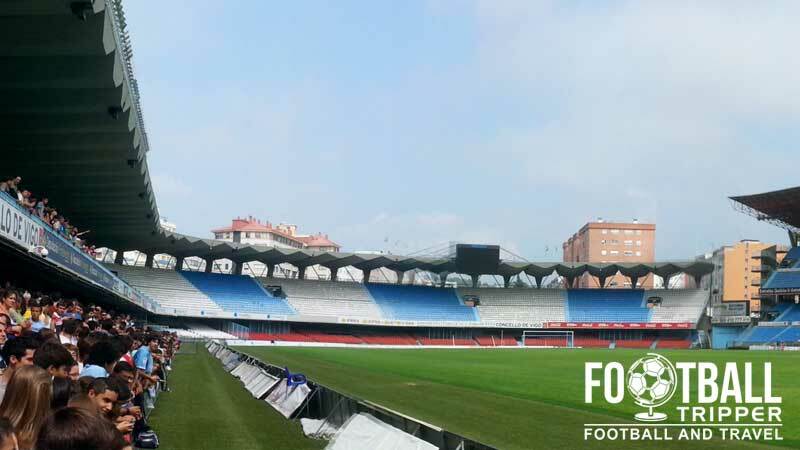 There is no information regarding Celta Vigo stadium tours but there is a Museum which can give you a decent insight into behind the scenes of the club. Located at the back of the West Stand, the museum is open Monday to Friday 9.30 am – 14.00 pm and 16.30 pm -20.00 pm and is a bargain at €3.00 entrance fee. Note: It is also open on matchdays for up to the 90 minutes before kick off so it’s definitely worth getting to the ground early to be able to see everything. 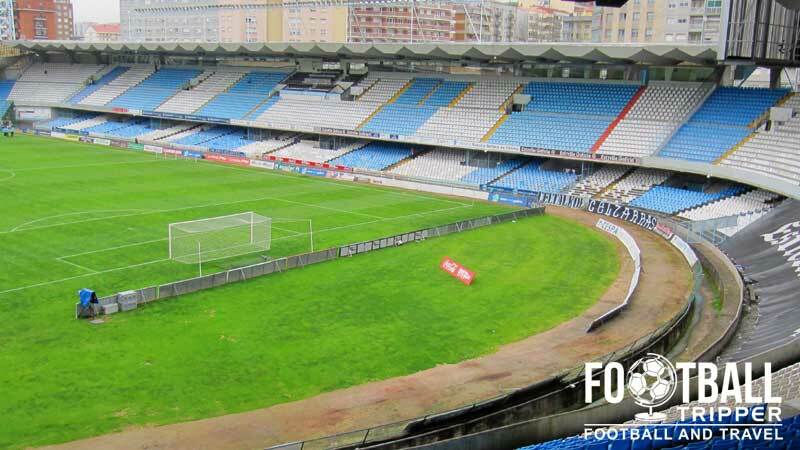 Tickets to see Celta de Vigo play at home can be purchased online, at the club shop/offices or at the ticket windows (Taquillas) in the hours leading up to the match. O Celtiña (The Little Celta) seldom sell out their home matches unless the opposition is really high profile (Think Barcelona and Madrid), so use your discretion with how late you can leave booking tickets. Price wise tickets can vary greatly, but for a seat behind the goal experience shows €25.00 is fairly average, with a lengthways seat in the grand stand likely to be anywhere between €40.00 to 50.00. The city of Vigo is located in the province of Pontevedra on the West coast of Spain surrounded by the Atlantic Ocean. Estadio de Balaídos is approximately 2 km inland and Southwest of the historical city centre on the bank of the River Lagares. The exterior of Estadio do Balaidos, nice and blue. As it based towards the Southern outskirts of town, away from the coast there’s a strong possibility that you will be travelling on the AG-57 and then the VG-20 (Autovia de Circunvalacion de Vigo). Once you’ve finished this stretch of road and feel like you’re entering the city, try and exit onto Rua de Citroen which will take you past the stadium. Avd. de Balaídos s/n, 36210 Vigo. There appears to be a large carpark south of the ground on Rue da Citroen however we’re unsure if it is available for fans to use on matchdays. Some good alternatives are listed on this Parkopedia page. Vigo Guixar is the name of the main train station within the city and is 4km (North) East of Estadio de Balaidos. If you wish to walk it, the same general directions form above still apply, although expect it to take you slightly longer. As Vigo is too small to warrant an extensive Metro system, the Bus is probably the easiest and most tourist friendly way of travelling around the city. Bus 23 departs from Calle de Pizarro which is 5 minute walk south from the station. After around 10 minutes or so you should be getting off at Avenida Fragosa which will leave you with a very short walk. A vibrant looking entrance of Vigo Guixar Station, wouldn’t really work if it was grey and rainy would it? Alternatively you can catch Bus number 11 which departs from Rua de Urzáiz and Rua de Colón which are areas near the historic city centre. Taking slightly longer at 15 minutes, look to get off at Avenida Florida instead, which is one road along Avenue Fragosa and essentially parallel. Vigo Airport known as either Airport Peinador or just Peinador Airport is around 9km East of the city centre and once you’ve landed you can either choose to get a taxi (€25.00) or the C9A Bus which approximately €1,50. Note: With the exception of one flight to Paris-Charles de Gaulle airport, Vigo only serves domestic routes such as Madrid, Bilbao, and Barcelona. To the best of my knowledge if you’re planning a trip, you will have to transfer. The closest and most trusted hotel to Balaídos is undoubtedly Hesperia Vigo situated on Avenue da Florida at around 5-10 minutes walk. As most of the tourist spots are towards the North of the city, you’re probably better off walking slightly further past the park and nearer to the train station where a much better choice of hotels can be found.